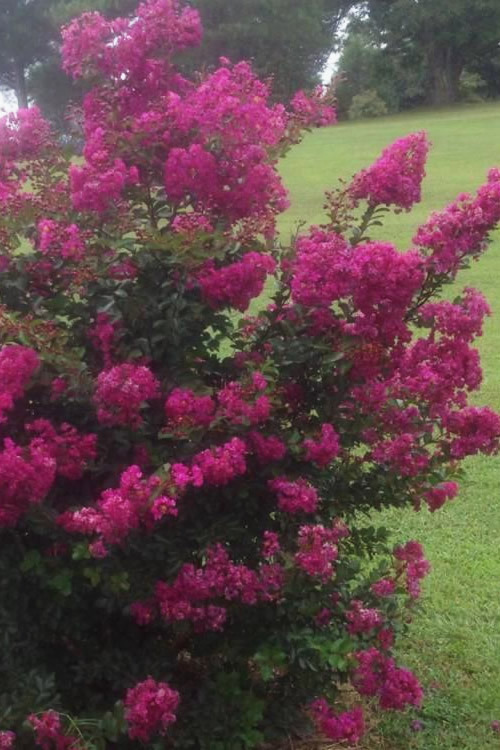 Velma's Royal Delight is an old favorite semi-dwarf heirloom Crape Myrtle that produces abundant clusters of the deepest magenta-purple flowers you've ever seen! In addition to its stunning flowers, Velma's Royal Delight features some of the most attractive dark green foliage of any crape myrtle on a compact, upright multi-stemmed shrub or small tree that grows about 6 to 8 feet in height with an equal spread. Get all the details below! 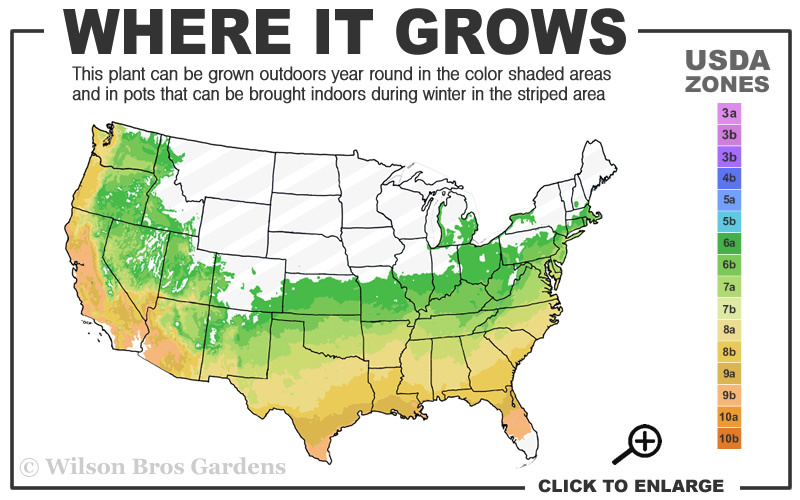 Note: For our customers who live and garden north of USDA Plant Hardiness Zone 6a, where this Crape Myrtle variety is not reliably winter hardy, you'll be happy to know it can be grown in containers that can be brought indoors during winter and placed back outside when temperatures warm up in spring. 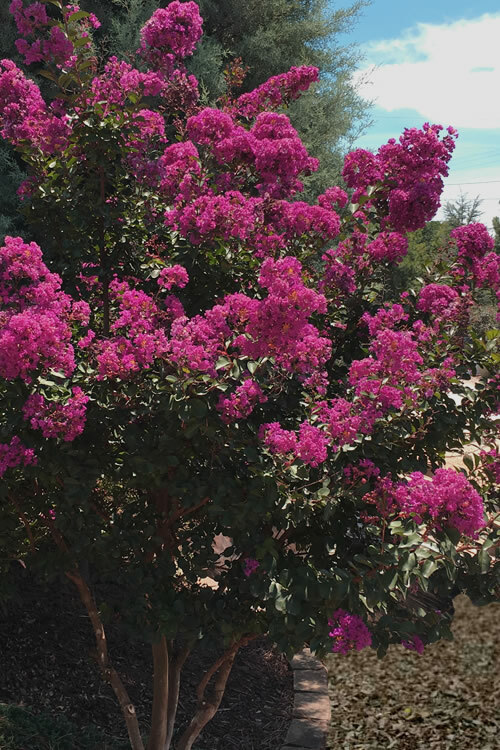 Velma's Royal Delight is an old favorite semi-dwarf heirloom Crape Myrtle that produces abundant clusters of the deepest magenta-purple flowers you've ever seen! In addition to its stunning flowers, Velma's Royal Delight features some of the most attractive dark green foliage of any crape myrtle on a compact, upright multi-stemmed shrub or small tree that grows about 6 to 8 feet in height with an equal spread. The color show continues when the foliage turns orange to red in fall. 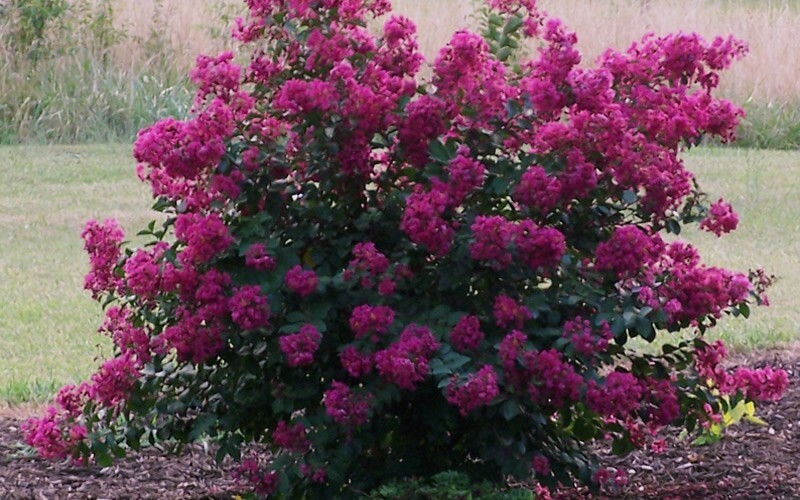 Velmas Royal Delight Crape Myrtle is very easy to grow. 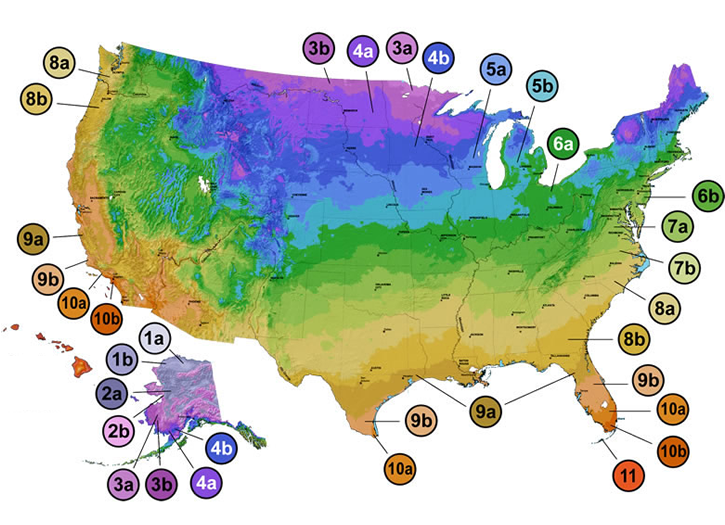 It is not picky about soil type provided the soil is well-drained. A moist but well-drained soil of average fertility is preferred. Full sun is preferred and results in heavier flower production. Light shade is tolerated but flowering will be diminished in more shade. 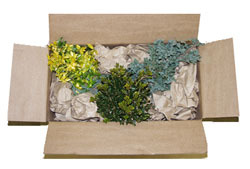 Has shown excellent resistance to powdery mildew and is quite drought tolerant when established. No pruning necessary however lower branches can be removed to form an attractive small tree. I've seen where some websites show the Velma's Royal Delight as only growing 2 to 4 feet tall, as if it were a true dwarf, but we have a 20 year old specimen in our gardens that is now well over 6 feet tall, and that's with annual late winter pruning. It may grow taller than 6 feet with no pruning. There are no other versions of Velma's Royal Delight. The one we offer is the one and only version. 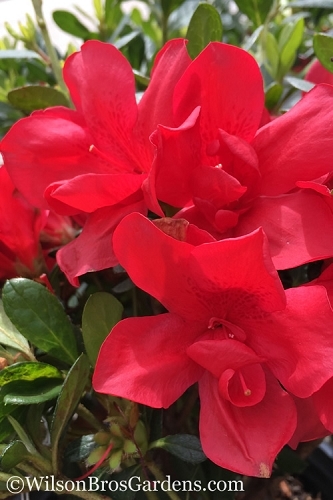 The only true dwarf we've had long term success with in our gardens is Pocomoke, which in many years is a mounded shrub that has grown to about 18 inches tall and 3 feet wide. 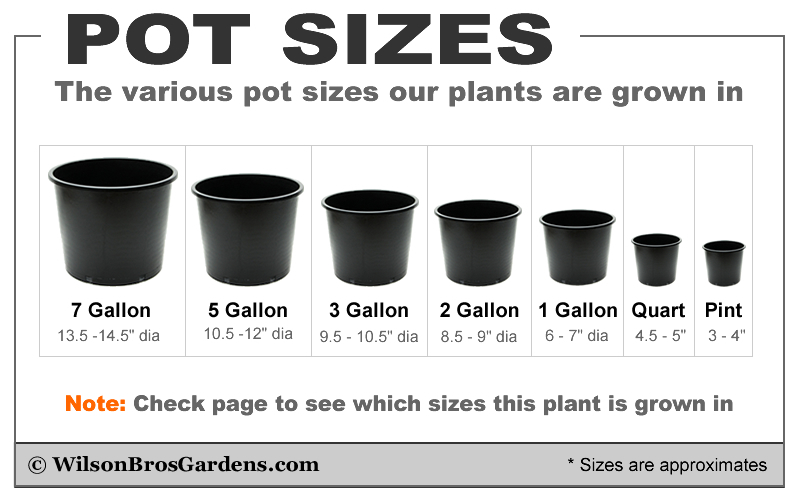 It would be suitable for growing long term in a large pot. It's a Fauriei hybrid so highly resistant to powdery mildew. 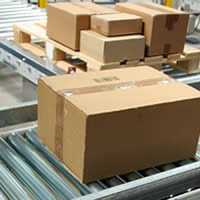 Type the word 'pocomoke' in the search at the top of this page to find the listing.